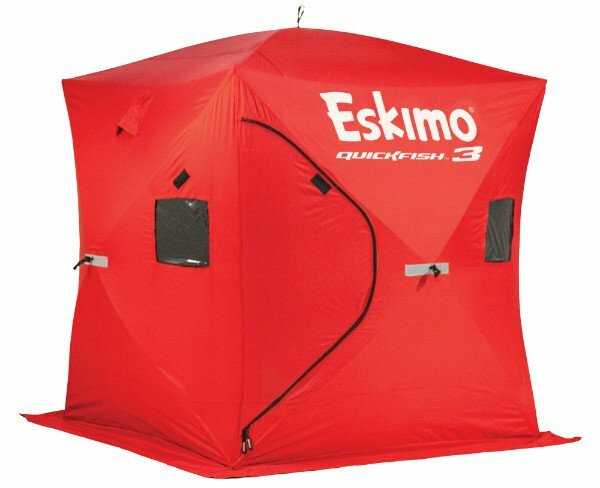 This Is An In-Depth Review Of The Eskimo Quickfish 3 Collapsible Ice Fishing Shelter It Is Designed To Be a 3 Person Collapsible Ice Fishing Shelter. If you are serious about ice fishing, a quality ice shelter is an integral investment. 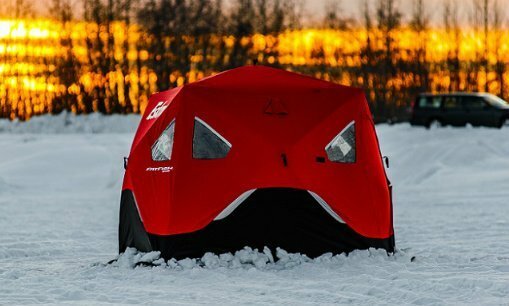 Ice shelters are specially designed to protect anglers from the elements. Also known as ice shanties, they are crucial to a successful trip. They are available in both permanent and temporary versions. Temporary ice shelters are made with weather materials and fold down to compact sizes for easy transportation. This post focuses on one of the best ice shelters available on the market i.e. Eskimo Quickfish 3. It is incredibly popular among ice anglers, and worth every penny. 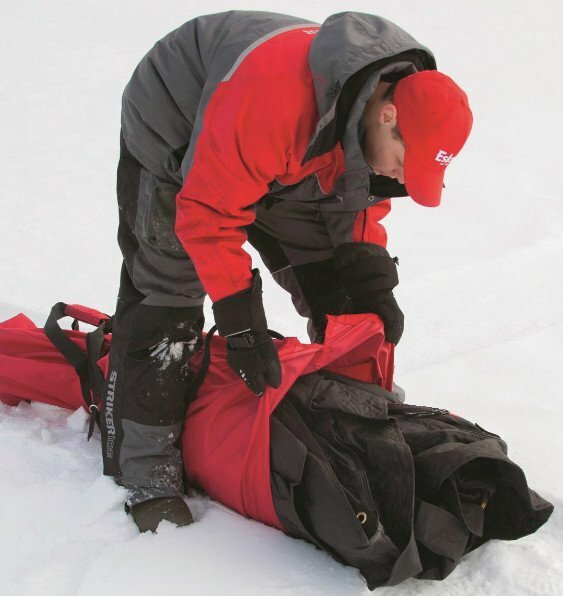 Established more than 50 years ago, Eskimo is a tackling brand known for its ice fishing equipment. 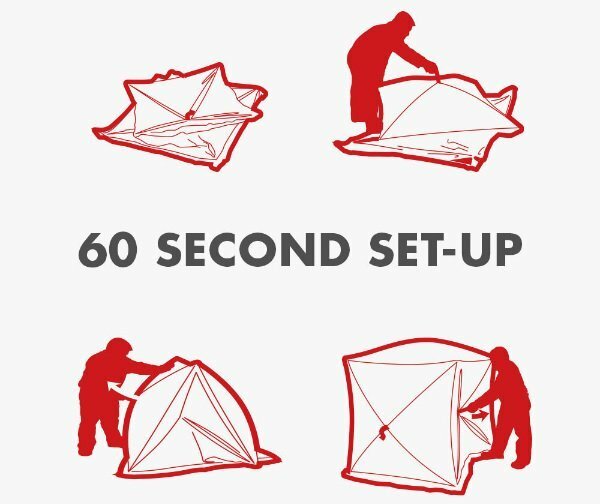 They offer popup shelters, crossover shelters, portable sled shelters, ice augers, ice fishing apparel and other accessories. Their products are well insulated and designed to last a long time in extremely low temperatures. 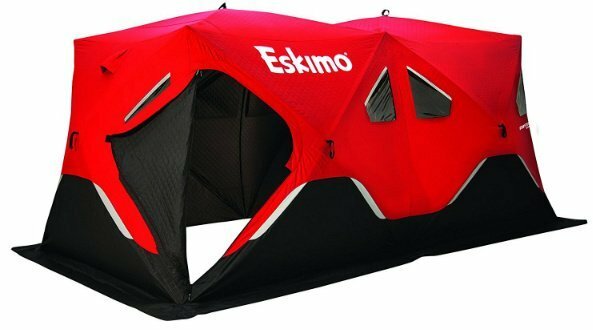 The Eskimo Quickfish 3 is designed to accommodate three people or a couple along with their gear. It offers 34 square feet worth of fishable area. The 80” internal height is good enough for sitting, but not suitable for taller users. This ice shelter boasts durable construction with 300 denier tight fabric. It uses all-metal hubs and solid poles to ensure lasting stability. 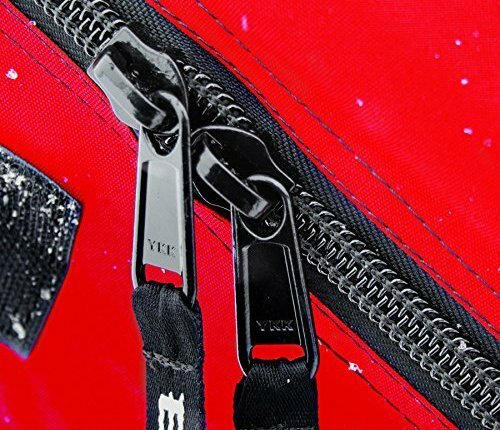 In addition, it uses YKK zippers to secure the doors and provide additional protection from the cold. The zippers won’t break or snag in sub-zero temperatures. Also included are flexible removable windows that offer clear views of the outside. They can be opened or removed for complete ventilation. A heavy duty material is sewn over the corner joints for buttressing and added durability. There are six self-tapping ice anchors that ensure a firm grip on the ground. 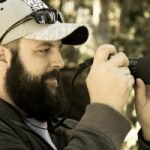 The Eskimo Quickfire 3 uses all metal hubs and solid poles. These keep the walls up and provide room on the inside. There are six self-tapping ice anchors that ensure a firm grip on the ground. This ice shelter features an easy to adjust ventilation system that includes hook and loop windows. It has a single door with a sturdy YKK zipper for keeping the warmth inside and cold outside. Eskimo ensures easy portability by providing an oversized cinch backpack. 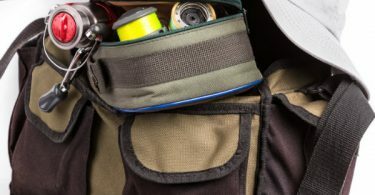 There are mesh pockets on the inside for storing small essentials.